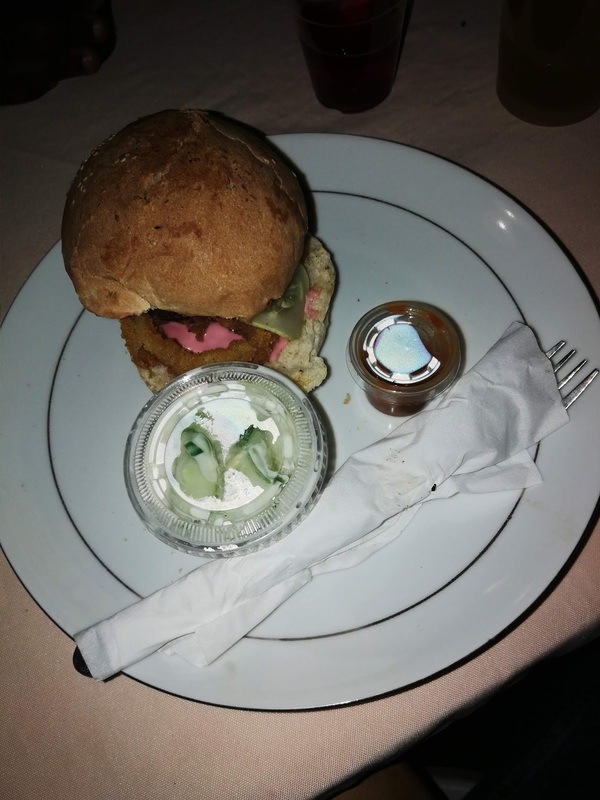 I am not a food blogger however, I do like to attend and review events that have food! 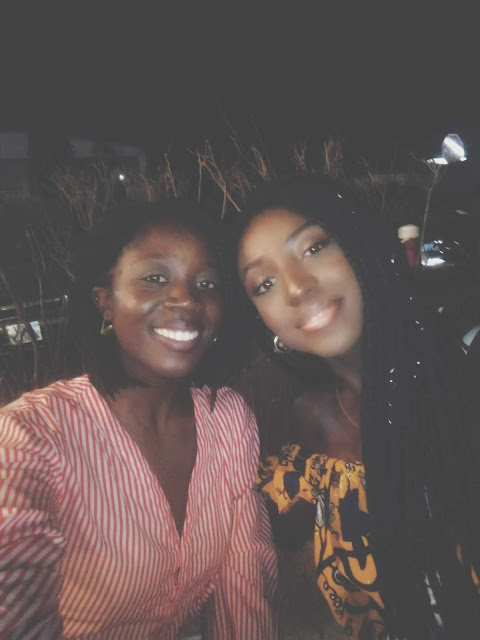 Here is a Yasmin TELLS review of Jalika’s Pop Up Kitchen: 12/04/2019. On Friday night Jalika Gooding (née Mustapha) hosted multiple guests at Aberdeen Ferry Road for her highly anticipated monthly event ‘Jalika’s Pop Up Kitchen’. This was the third of a series she started at the beginning of the year and my first one I was attending. I had been looking forward to it as I had heard and seen the pictures from the last two events. 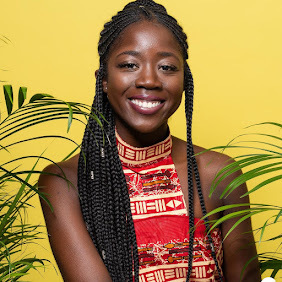 Jalika who is an ophthalmologist by day, says she has always had a passion for cooking. She didn’t have to tell me this as she proudly uses the hashtag #MendeGyalSabiCook across her socials when promoting the once a month event. As you arrive at the entrance, your name will be crossed off the list if you have paid in advance as it is suggested on the advertisement flyer. This is to know the number of heads to cook for I assume, however I did see a few people pay at the entrance. 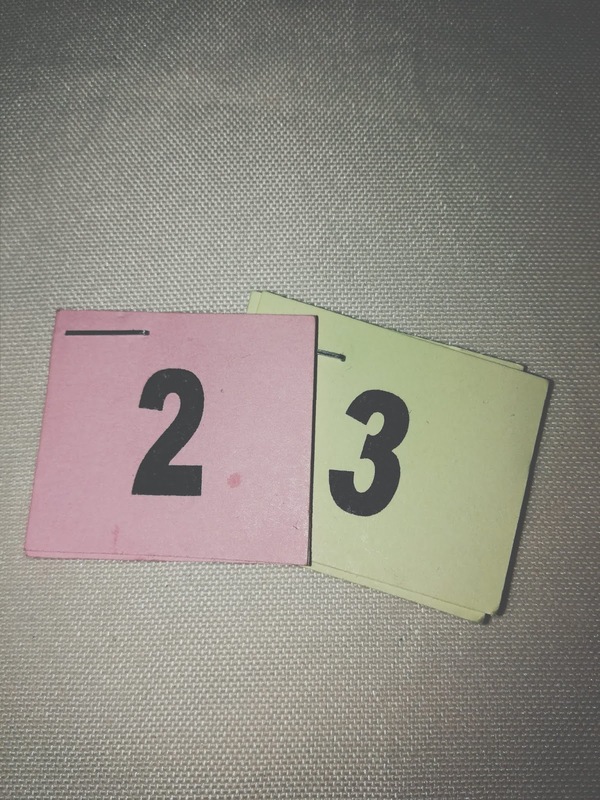 Once the hosts had verified us off the list, we were given a complimentary cup of bissap/sorrel alongside three pastel coloured numbered cards of 1,2 and 3 before gaining access to the majestically lit outdoor space. 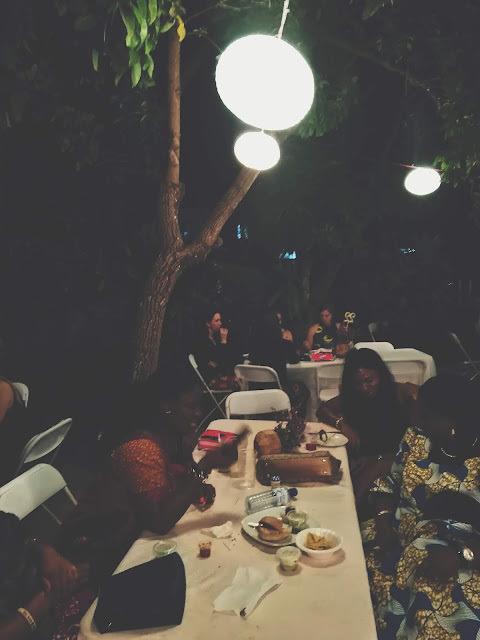 The compound was elegantly lit with garden paper lantern lights scattered above and live music by Solomon and singer Daniel Bangura, creating a soiree ambiance. Drinks were sold separately at the bar. I got a cup of rum with homemade ginger beer for 25,000 Le. The layout of the space had multiple 8 person seated chairs around long dining tables. With flexible seating you and your party could sit wherever you wanted. 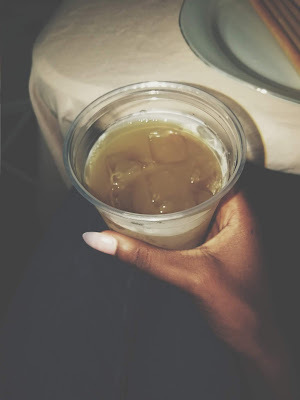 Once you were seated and comfortable with your drink/s one of the staff workers assisting Jalika on the night would ask what starter you had requested. It was in this moment I understood the use of the three numbered token we received at the entrance. They were coded alongside the different dishes of the night. Once the waiter had established what starter you wanted; in my case the Lemon Hibiscus Hummus with Garlic Oil-Glazed Breadsticks, the waiter would take the token that was paired with your chosen dish, and so on with the main and dessert. I liked this element of operation to the pop up kitchen. 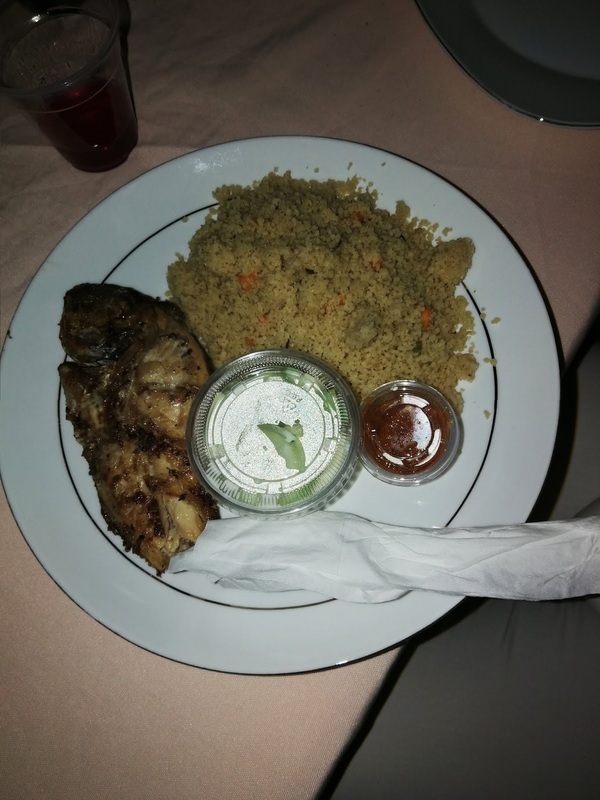 When you think of a typical restaurant you do not know what to expect, whereas with Jalika’s Pop Up Kitchen you know to an extent what you are in for! The flyer lists three different options for each category (Starter, Main and Dessert). Once again it is advised to inform Jalika before the date of the event which number of each category you have selected. When you think of a 3-course meal traditionally, they usually come one after another. This was a 3-course meal with like no other. It was at your own pace. Everybody arrived at different times. Whilst the doors opened at 7pm, guests arrived throughout the evening. Regardless of the time you arrived, you were still acknowledged by the waiters who were ready at all times to take your first number. If you had not guessed the theme of the night was the Hibiscus flower found in many West African countries which has vitamin C content and known for its distinct colour and taste. I wanted number 2, but I had been eating fish all week and thought let me try something new. I chose number 3, The Gourmet Onion Ring Burger which was really nicely, it was probably my first time eating a burger without a side, but I didn’t need it as I was full after taking a couple of bites of the burger which was well seasoned and stuffed with onion rings, as promised. The burger was slightly cold but the seasoning was undeniable. I took my dessert home in a takeaway, as I was full from what had already been served alongside the music and plenty of conversation. I chose number 2. Which was ‘Season Fruit Salad with Honey & Hibiscus Glaze, however I saw many people opted in for the cakes. In hindsight I wish I chose number 1. 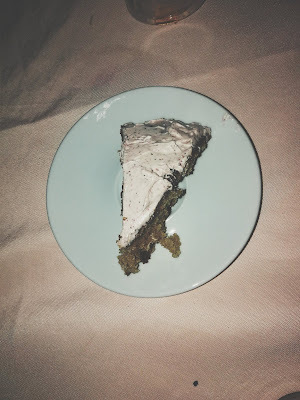 Moist Tangy Hibiscus Cake with Soft Buttercream Icing, reading it back has made me realise how safe ‘boring’ my options were. The fruit Salad was tasty, overloaded with watermelon, you can’t go wrong with fruit. The other popular dessert was the final option, number 3. Vanilla Cupcakes with Pureed Mango Filling and Meringue Icing. Overall the evening was a great opportunity to socialise and meet new people whilst trying Mrs Gooding’s creative cuisine creations. I wonder what the next theme will be! 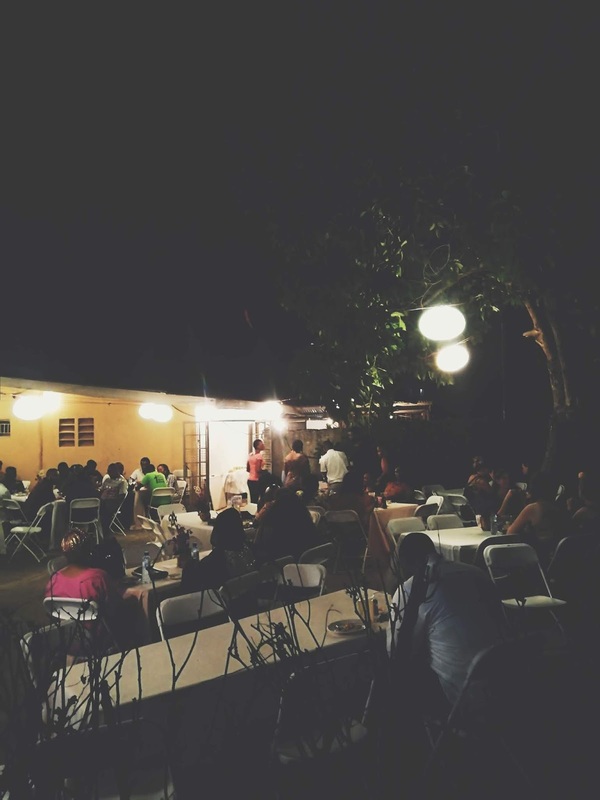 I hope this gives a clear idea of what to expect at Jalika’s pop up kitchen. 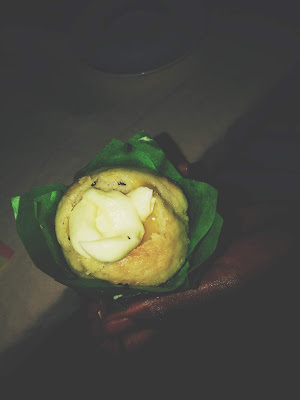 If you cannot wait until the next pop up kitchen next month, you will be glad to know that Jalika’s pop up will be at the Ma dengn Taste of Salone Festival on the 28th April in Freetown, Sierra Leone. 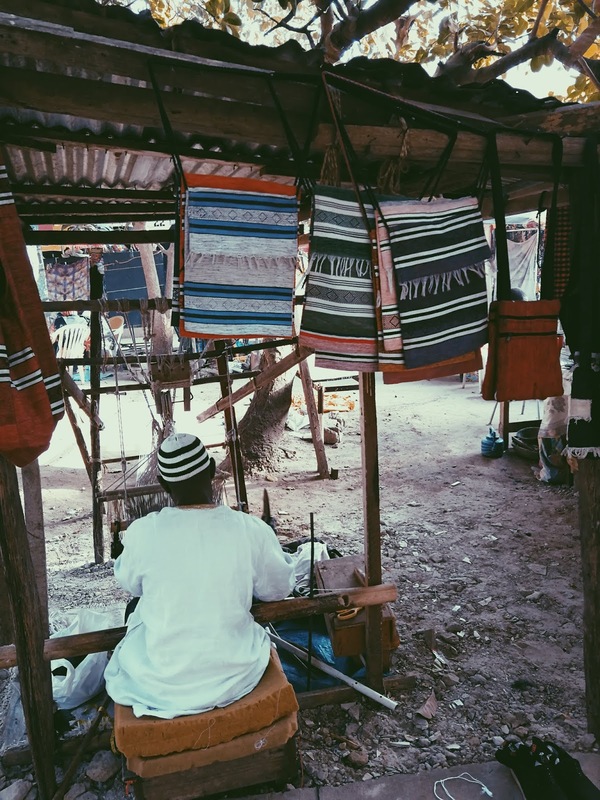 As it is the month of Sierra Leone’s Independence, I will be creating Salone special content, hopefully not only for the month but it’s a good way to start producing regular content about the country I reside in. 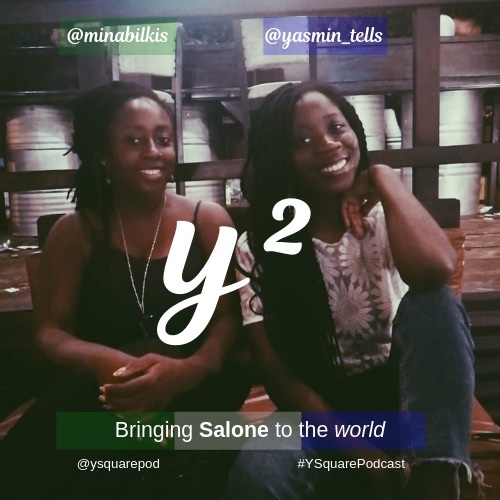 The podcast is by two ladies of the diaspora who have moved from the UK and the States to their country of origin, Sierra Leone. I co host the show alongside Mina Bilkis. 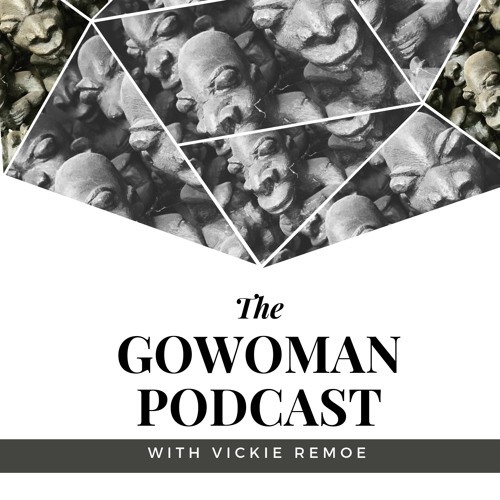 We thought we would come together and collaborate by sharing our perspectives and everyday experience in Freetown, Sierra Leone as people of the diaspora that have moved by and informing the listeners about the land that we love. Is hosted by three young Sierra Leoneans Tarah, Elaine and Mario who discuss navigating through life in Sierra Leone, current affairs, relationships and dilemmas. Bringing young Salone like you have never head it before. 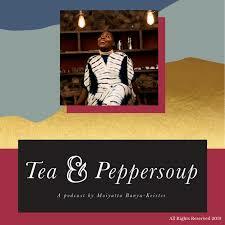 Tea & Peppersoup hosted by Moiyattu Banya-Keister is a motivational podcast where the host Moiyattu shares her own experiences in social impact and entrepreneurship with the aim to inspire and uplift her audience. 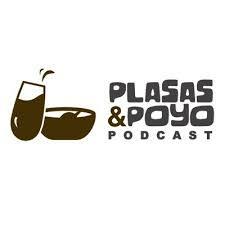 Focusing of faith, self-care and wellness the podcast is to encourage the listeners to identify their purpose in life. The GoWoman Podcast is a series presented by Vickie Remoe as she is joined by a guest each episode, shining a light on the 21st century African woman. Our trials, our tribulations and our day-to-day experience navigating in a continent that is I quote, “not prepared for African women that are free thinkers”. 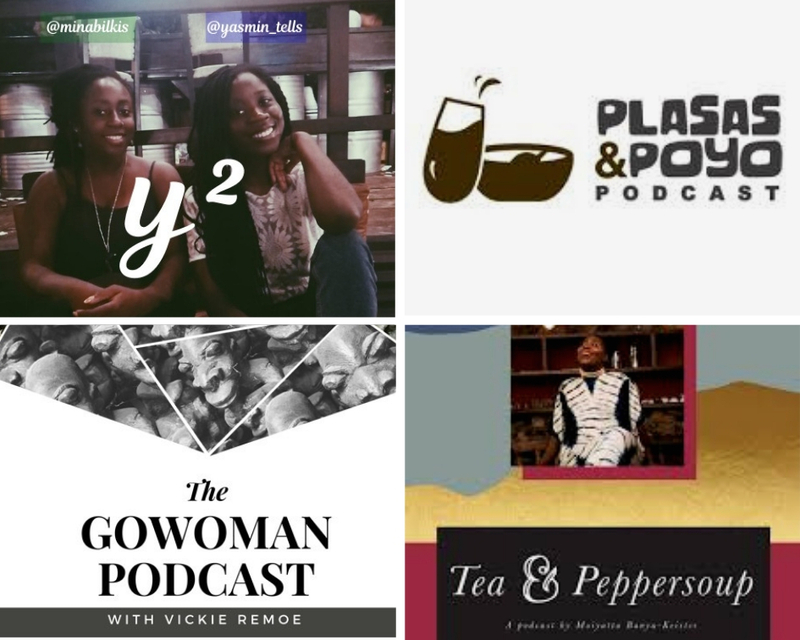 If you know any other Sierra Leonean or African podcasts, please share it in the comment section below.